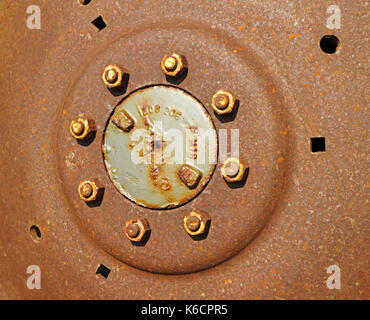 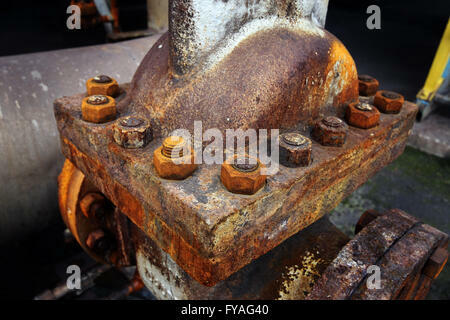 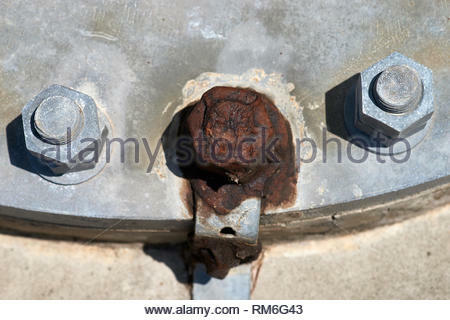 A rusting tractor wheel hub with seized nuts and bolts. 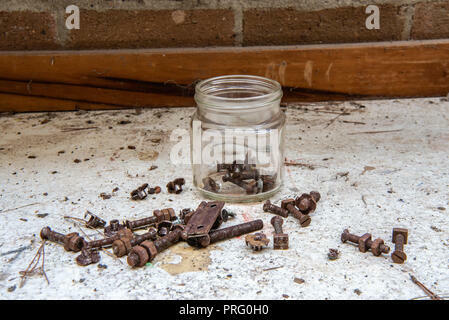 Jar of rusty bolts, nuts, hinges and washers on a workshop bench. 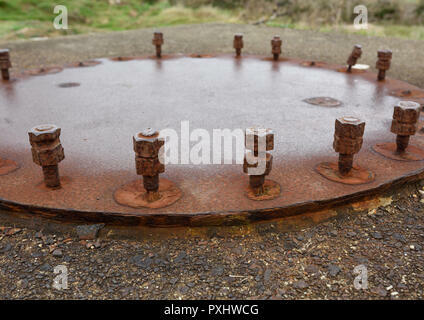 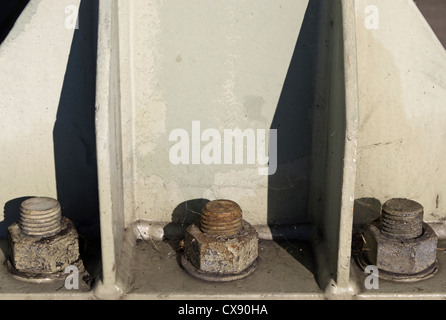 A closeup detail of large steel nuts and bolts - one of which has a magnesium sacrificial anode, and very rusty - securing the base of a radio tower. 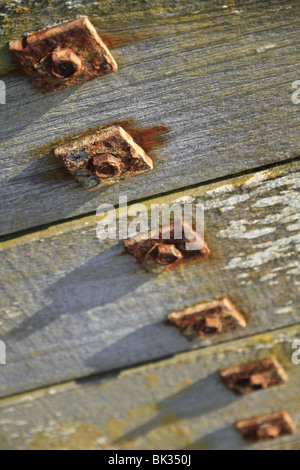 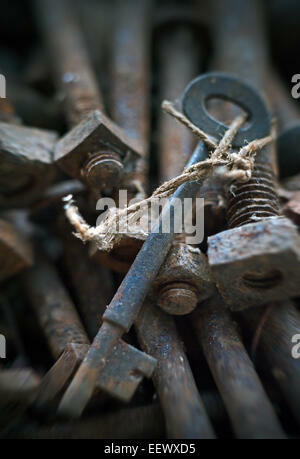 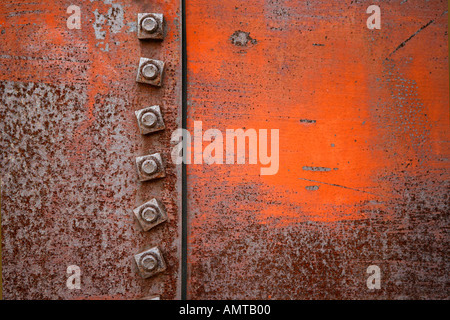 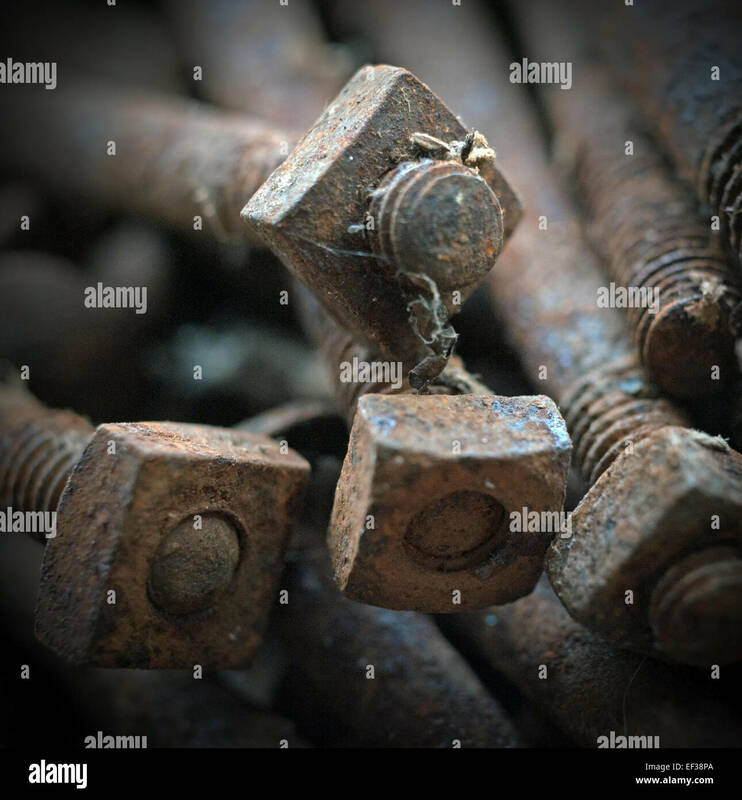 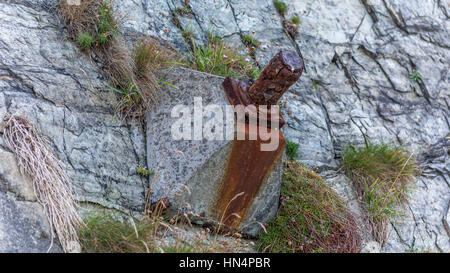 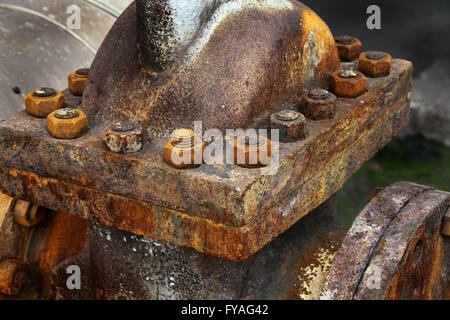 Rusty nuts, bolts and washers on a sea defence groyne in East Sussex, England. 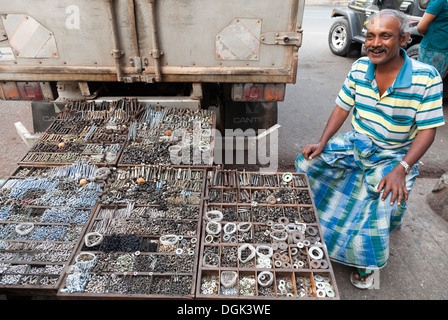 Man selling nuts and bolts in the Indian Market in Yangon in Myanmar.